Welcome to Mancini's Music Shop. 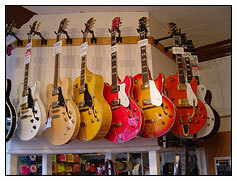 Mancini's is owned and run by Brian Pilsbury who has over thirty years experience within the music industry. Brian started as a professional drummer and has used his great knowledge of the business to develop an enviable reputation for providing guitars, amplifiers and a wealth of accessories to cater for both the complete beginner and the professional musician. We also supply pre-owned guitars from most major manufacturers and we also offer a Mail order service and can compete with shop and internet quotes, so why not give us a call, we really are competitive! 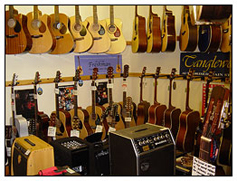 Whether you are looking for a beginner’s acoustic to a full professional instrument we can supply all your requirements at very competitive prices. Our range of products includes new and second hand guitars, drums, amplifiers, sticks and skins as well as Public Address equipment. 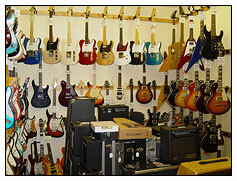 We stock many of the industries big name brands and a large selection of left-handed instruments is also available.